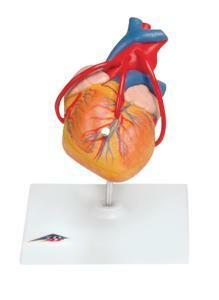 Highly detailed 2-part hearts at a price you will love. 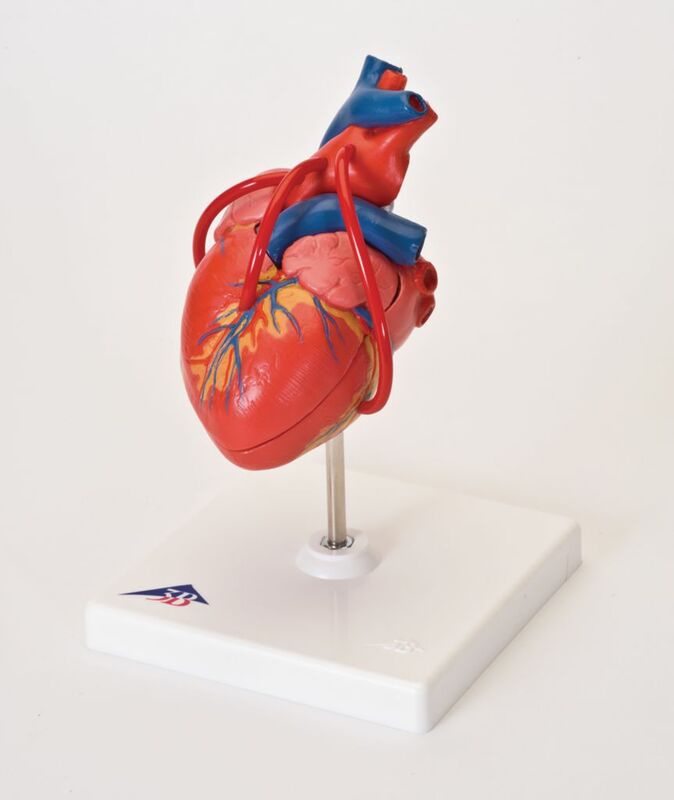 The front heart wall is detachable to reveal the chambers and valves inside. 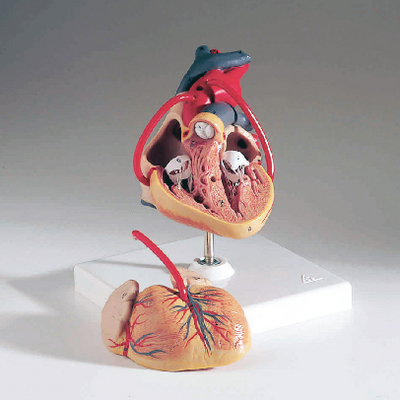 Heart includes venal bypasses to the right coronary artery, to the ramus interventricular is anterior, and also to the ramus circumflexus of the left coronary artery, which are shown in color. 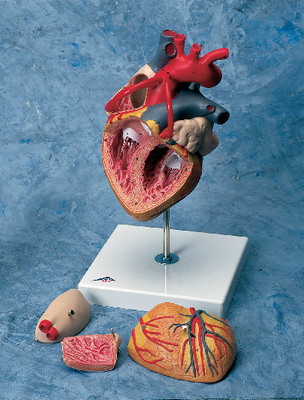 These heart models are a great aid explaining the treatment of coronary heart disease. Hearts are supplied on removable stand.